The Air and Space Series is back! 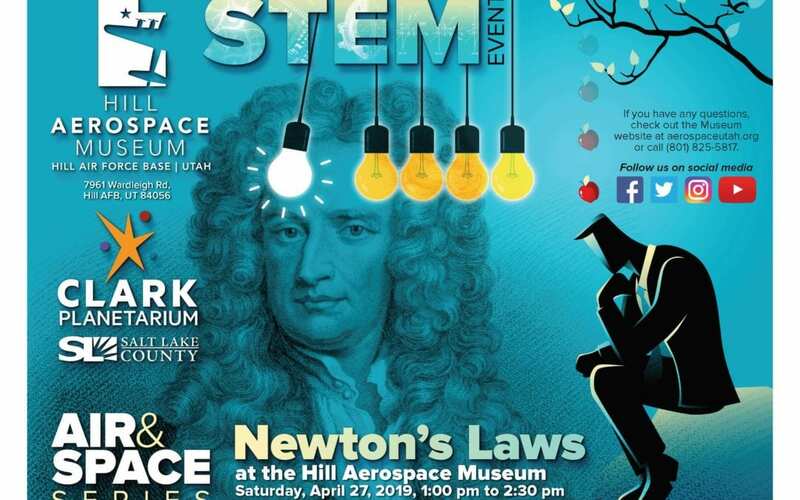 This month the Hill Aerospace Museum and Clark Planetarium are hosting Newton’s Laws. This fun class will take place on April 27, 2019 from 1:00pm to 2:30pm. Classes are first come first served and are recommended for kids 8 and older. The kiddos will learn the relationship between the force applied to an object and resulting motion of the object. Demonstrates how forces cause changes in speed or direction of objects. For more Museum events Click Here!